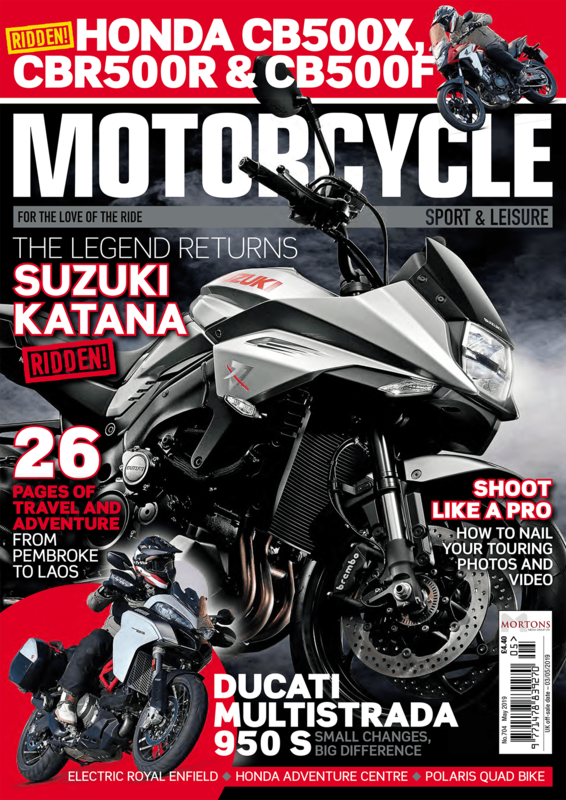 MSL July 2018 out now! News: Everything that you need to know about. Including bike thrusters. Yep. Products: Our scooter expert assesses the updated Suzuki Burgman. Maynard Hershon: He likes those helmets… but enough with the emails already. The High Sider: Our armchair racer extraordinaire considers the TT’s ‘old codgers’. Zoe Cano: Rattling off the miles in part two of her epic journey down under. Day ride: One reader discovers how beneficial riding is for his mental health. Richard Millington: What’s what in the wide world of adventure riding. Mid ride: 900 miles on a small Yamaha. Proper fun. Long ride: A big journey to a music festival destination in Morocco – part one. 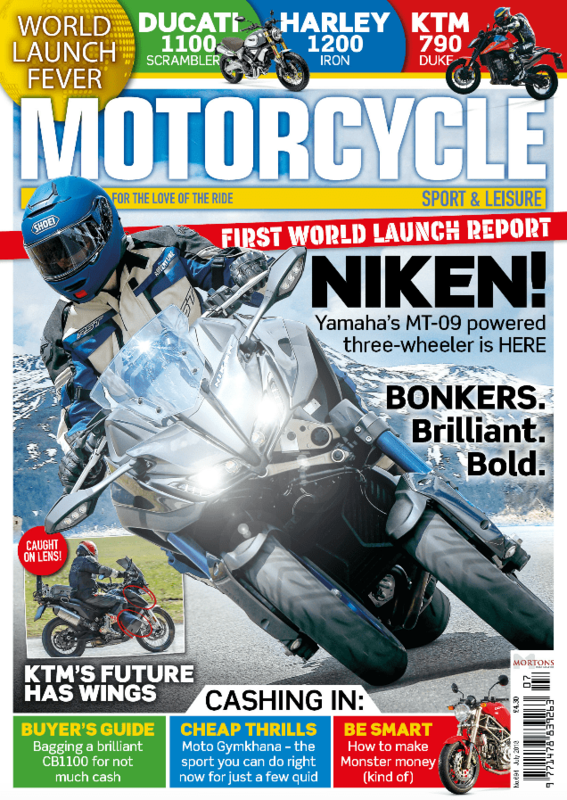 Yamaha NIKEN: World launch report on Yamaha’s funkiest modern era motorcycle yet. Harley-Davidson Sportsters: Will the 1200cc Evolution-engine Sportsters live up to the US-led hype? Ducati 1100 Scrambler: Does bigger always mean better? Usually, yeah. KTM 790 Duke: More fun than a bouncy castle with a bucket full of frogs. Better than a Triumph too. Classic test: Roland on the screamer that defined two generations: Yamaha’s RD350LC. Used test – Honda CB1100EX: Big and bulky with a smile. Enough about Mossy, what’s the bike like? Coming classic: A fine place to put your monies. This month, a Monster of a buy. Arf. What’s on: It’s the height of summer and there’s so much to get out and see. Tried & tested: Our favourite things to ride in (and on) from dealers (probably) near you. Kevin Cameron: Engines are always full of lubricating oil, aren’t they? Er, not all the time. Kawasaki Z900RS: The modern retro rocket joins the fleet. Hurrah for the 1970s. Yamaha X-Max 400: Time to say goodbye to the scoot that looks after you. KTM 1090 Adventure: The KTM gets its first service. Does much need doing?